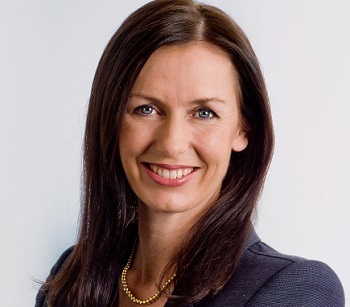 Simpson Grierson partner Jania Baigent tells NZ Lawyer about finding new ways to deliver legal services to clients, and PVC pipe joints and cymbidium orchids. I had a strong desire to work with and help people, backed with a love of English. I was also attracted to the business world. A career as a commercial litigator has covered all of these interests. How long have you worked at Simpson Grierson and what brought you to that position? I started as a summer clerk, then solicitor, in Simpson Grierson's Wellington office. I loved the collegial culture of the firm, and the intellectual stimulation of the job. After 3.5 years in London specialising in insurance litigation, I returned to join Simpson Grierson's Auckland office. Simpson Grierson were great at supporting me to work part-time for a number of years when my children were very young. When my youngest, Annabelle, started school I returned to full-time work and decided that I wanted the stimulation and challenge of partnership. I was delighted to join Simpson Grierson's partnership last year. Simpson Grierson still has the attributes that attracted me to the firm when I was in my 20s: Stimulating legal work for sophisticated clients, good people around the office who energise and engage you, camaraderie, and, of course, a sense of fun. One of the fascinating aspects of commercial litigation is becoming immersed in a particular product or issue for the life of the case. For example, over the last few years I have had to become a specialist in cymbidium orchids, PVC pipe joints, and a bovine mastitis product. Wine and sashimi at Ostro (Britomart) on a sunny day – overlooking our beautiful harbour. Or dinner at Baduzzi (North Wharf). Be yourself and play to your strengths. Whether it is in court, dealing with a client or working with people in the firm, you need to be able to communicate authentically and with integrity. My family keeps me busy outside work! As it is winter, I would have to add skiing. Keeping fit, getting some fresh air, and spending time with family and friends really helps to control the stress that goes with being a lawyer. Finding new ways of delivering legal services to clients to meet their objectives and cost constraints. I love the relationships developed with clients and colleagues when working closely together to resolve a difficult situation. A sense of a shared goal, and the ability to laugh together even in the face of a stressful situation (after all, when I am involved the client is usually in a dispute). Then to work through to a resolution of the issue, often with the combined effort of the team around you. These are the things that continue to energise me, and provide that sense of career fulfilment that we all require. Also important is the constant inspiration, and intellectual challenge involved in the job – no day is the same.